President Duterte is expected to sign a bill that will provide a fresh package of incentives for the development of innovative startup businesses in the country. Be vigilant about HIV, the Department of Health (DOH) urged the public anew as it noted that the country is now seeing 38 new cases every day. The House of Representatives has approved on third and final reading a bill seeking to declare the third district of Palawan as a mining-free zone. 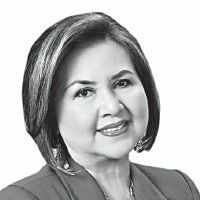 Citing threats to their life, two candidates for governor in Bohol have sought the assistance of the National Bureau of Investigation (NBI) and Philippine National Police (PNP). Speaker Gloria Macapagal-Arroyo met with Chinese Premier Li Keqiang and officials of the Boao Forum for Asia during the recently concluded BFA Annual Convention in Hainan, China. A committee of the House of Representatives has approved a measure that grants tax exemption for the travel of senior citizens and persons with disabilities. Forty-eight people, mostly overseas Filipino workers, are facing the death penalty for violating 11 offenses under Malaysian laws, a lawmaker said yesterday.